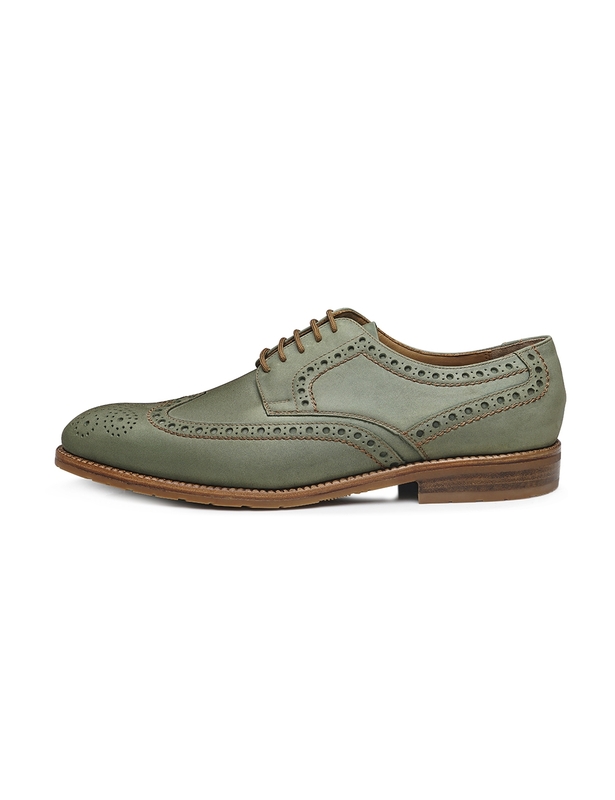 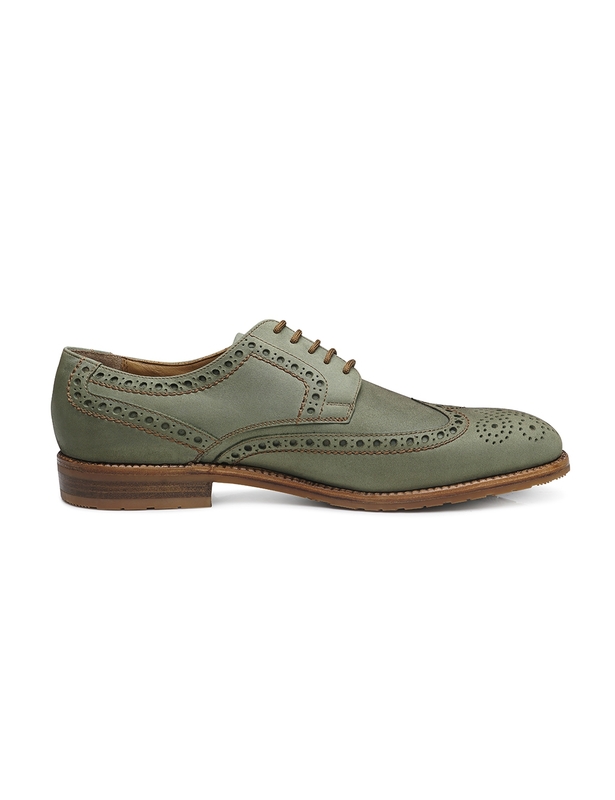 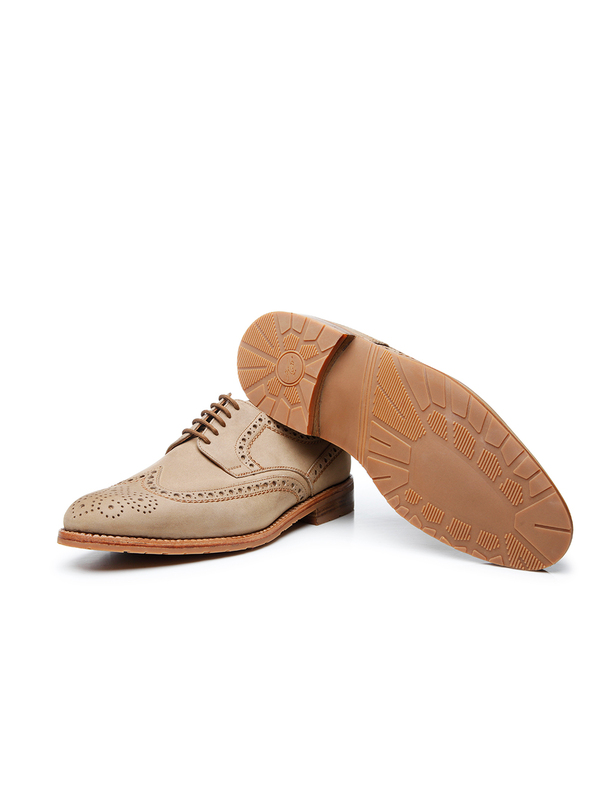 Curved Lyra perforation and soft nubuck with a short nap unite on this sewn-welted, handcrafted full-brogue Derby, making it a modern shoe with a sporty look. 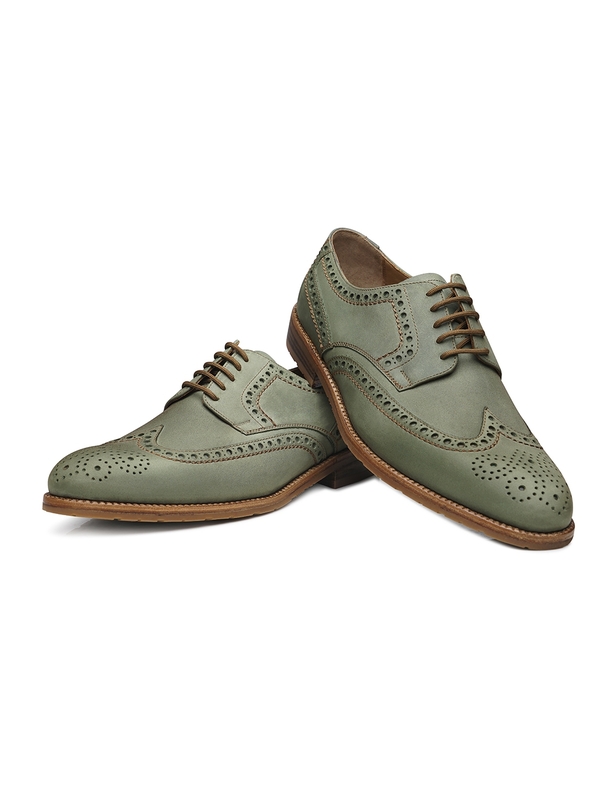 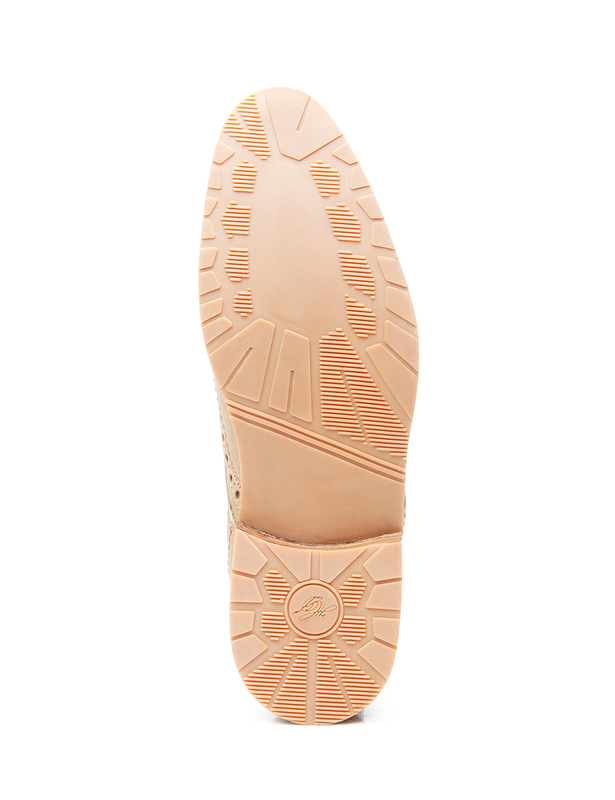 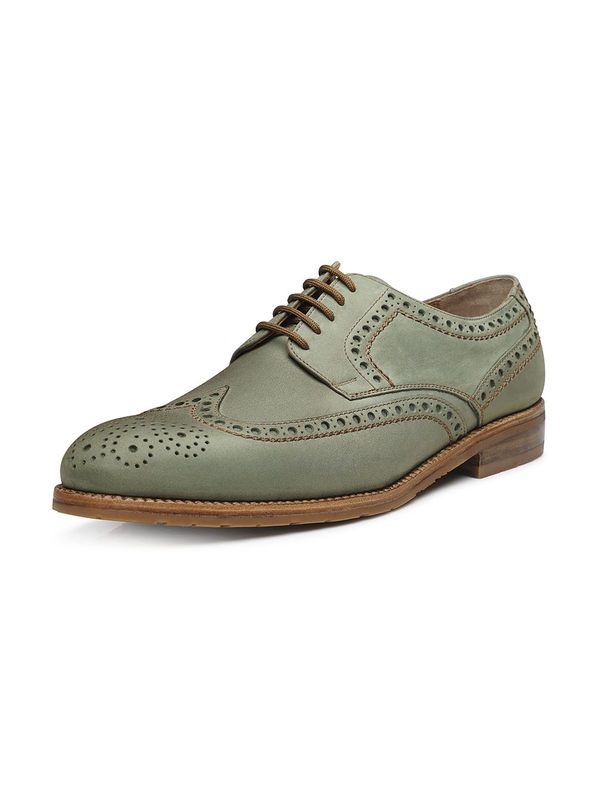 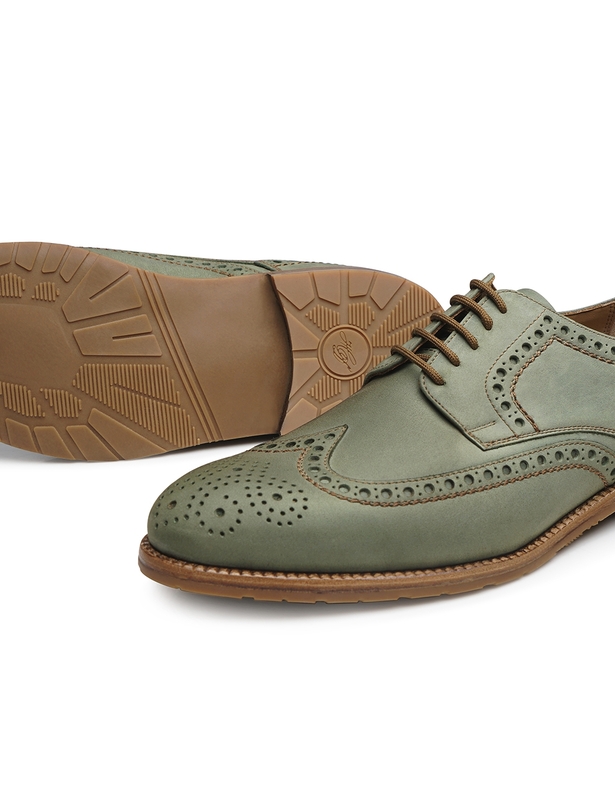 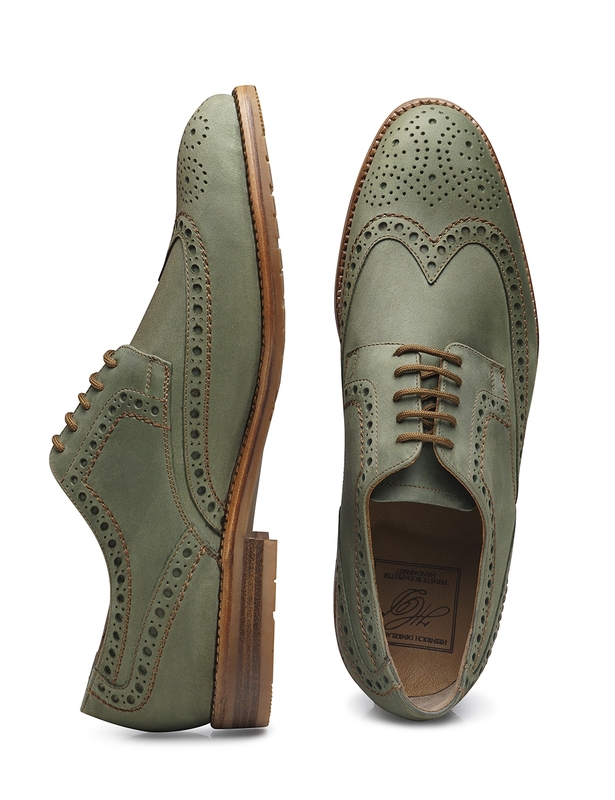 This model features open five-eyelet lacing and modern last, which taper gently towards the front. 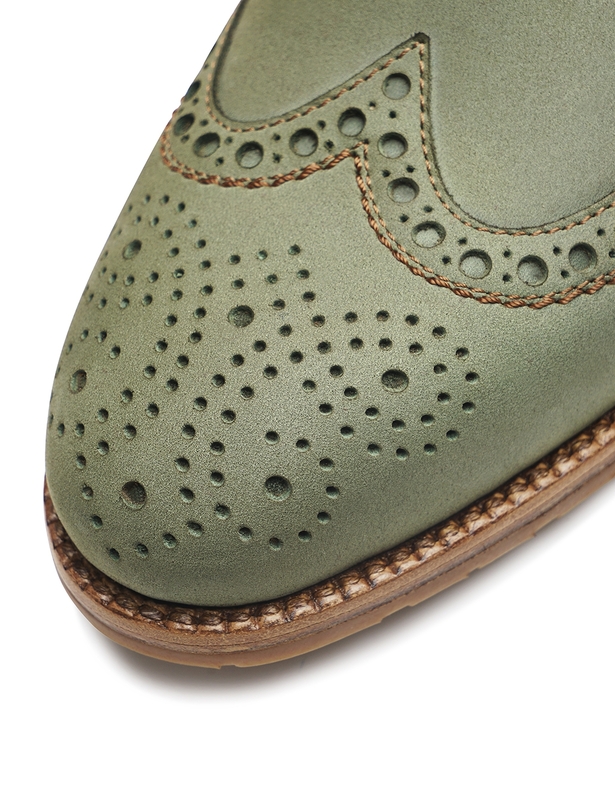 Its upper has been made from nubuck leather that has been treated to be water-repellent, a material that is distinguished by its high natural fat content, which makes it impervious to soiling and moisture. 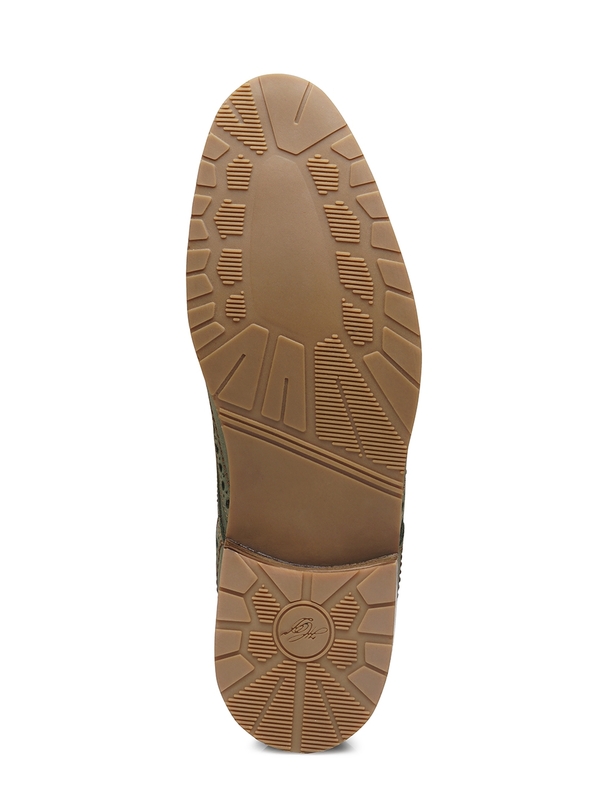 A comfortable double sole with a rubber lug profile ensures secure footing and stylishly rounds out the shoe’s sporty, elegant look. 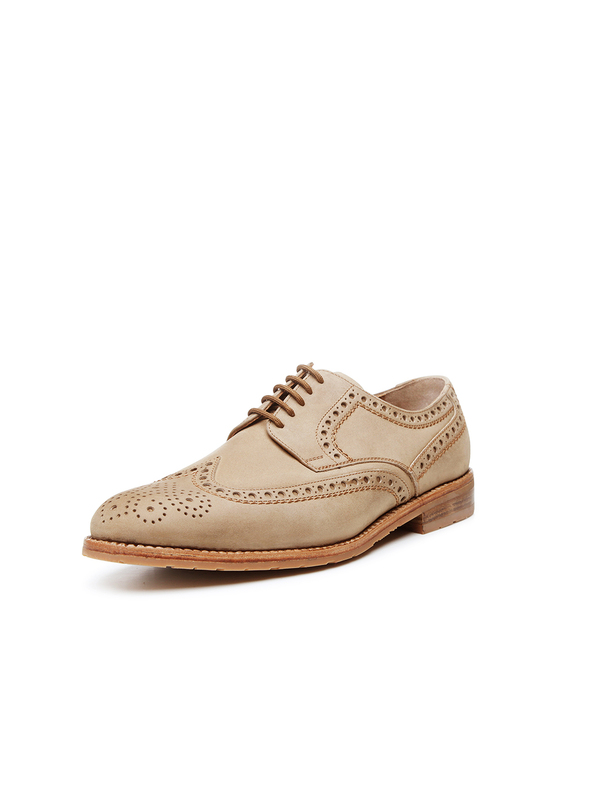 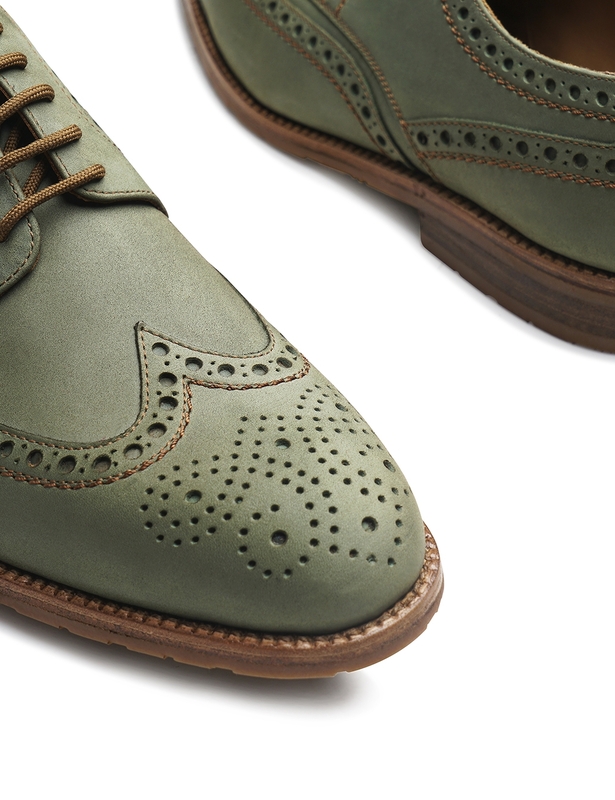 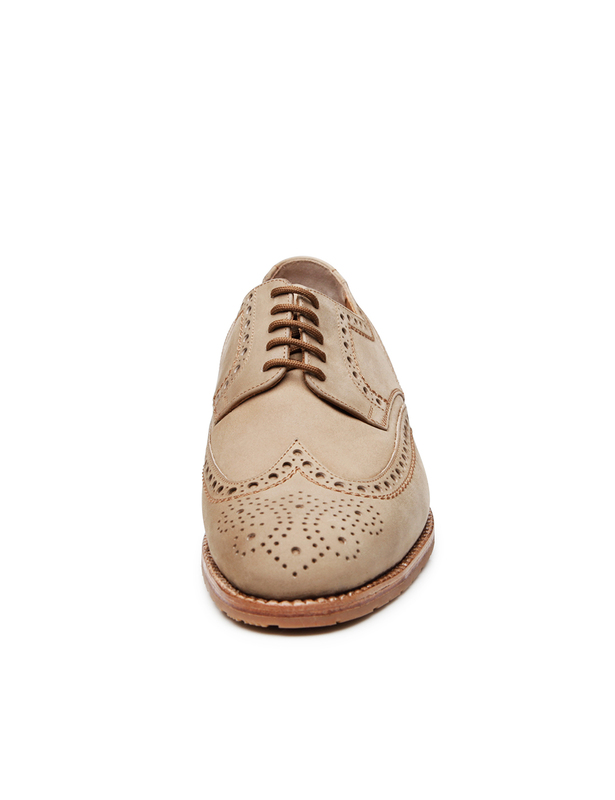 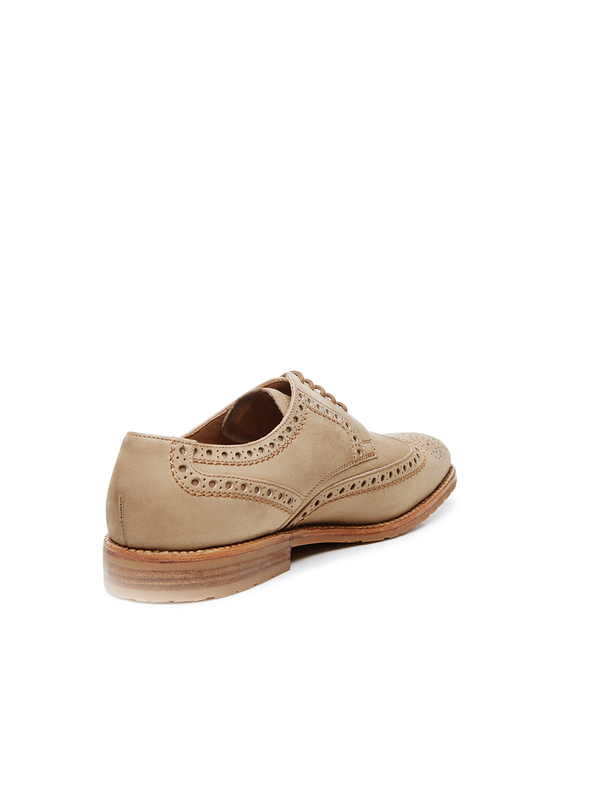 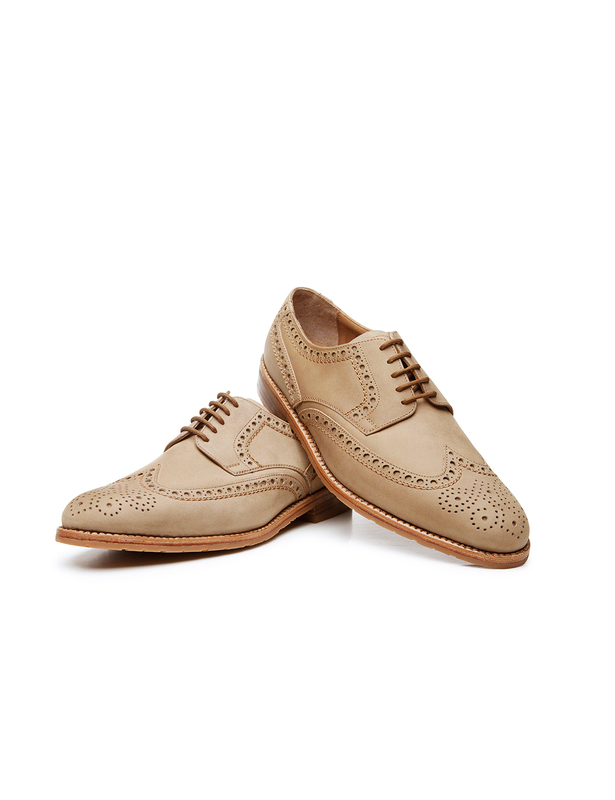 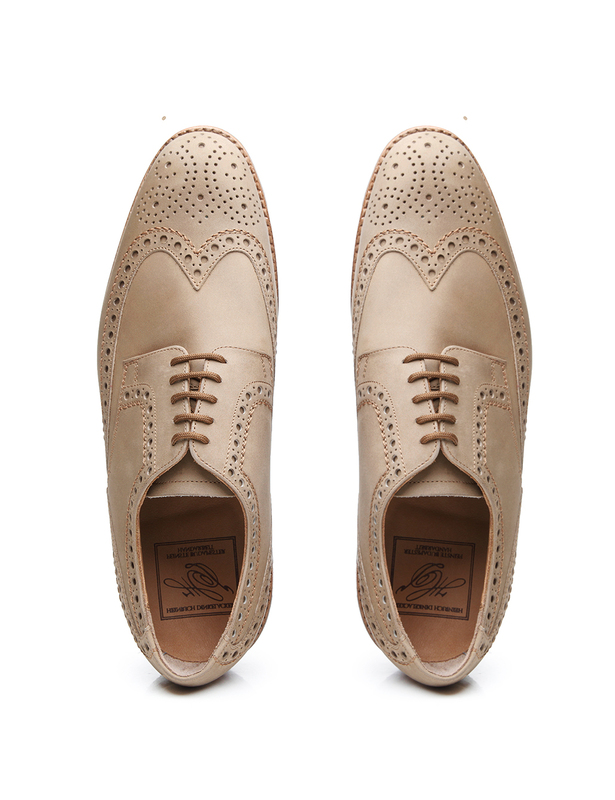 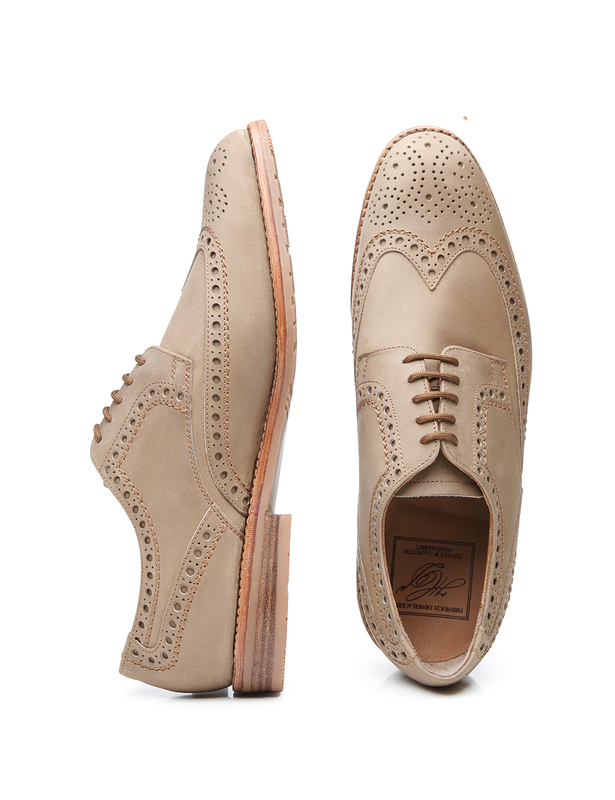 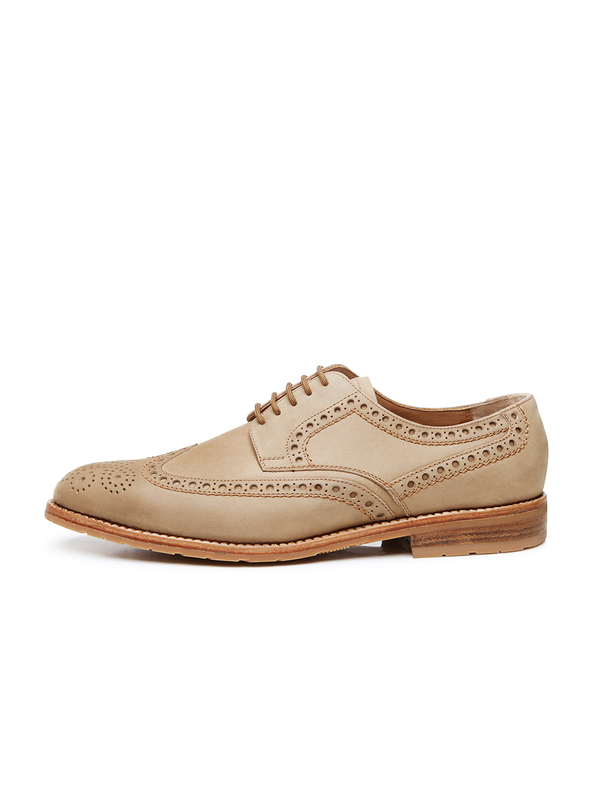 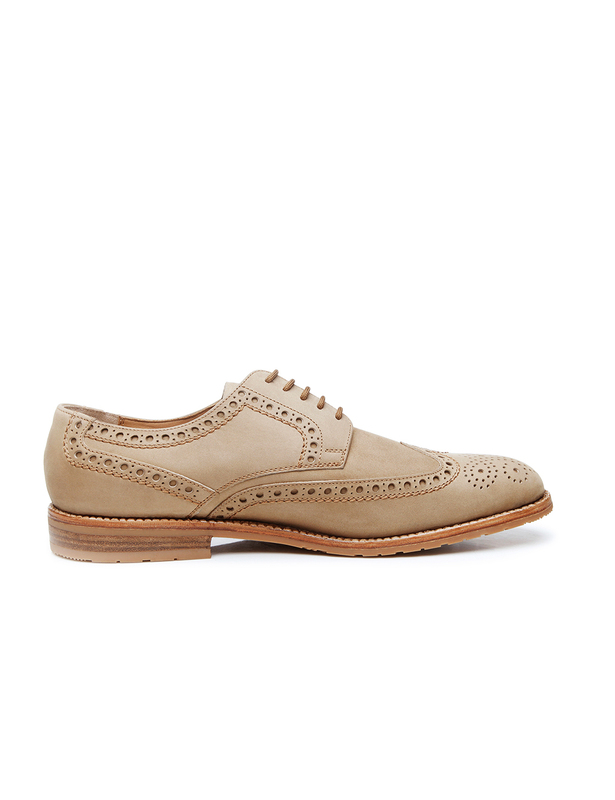 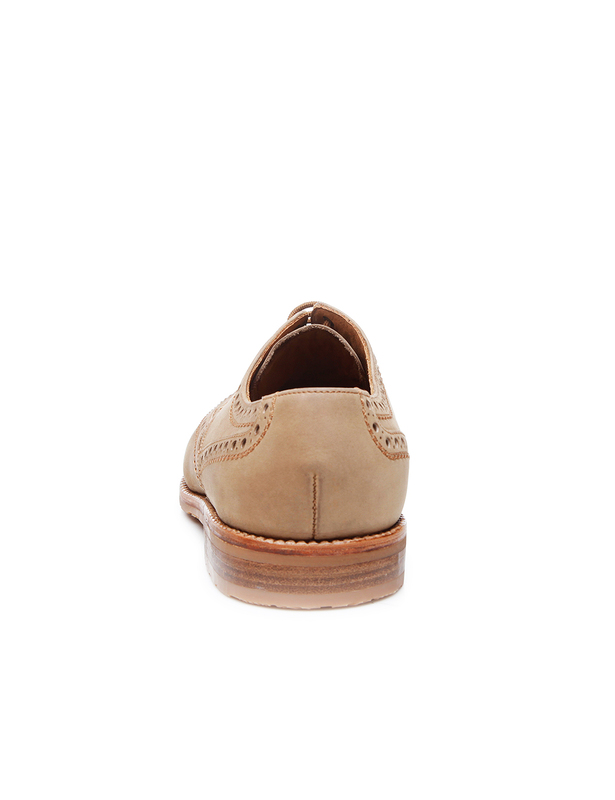 The full-Brogue Derby is available in the colours ‘Jeans’, ‘Rosso’, ‘Sand’ and black.